IPOPI is very happy to be the recipient of the “Join Together” campaign created by CSL Behring, a pharmaceutical company that manufactures biotherapies derived from human blood plasma. 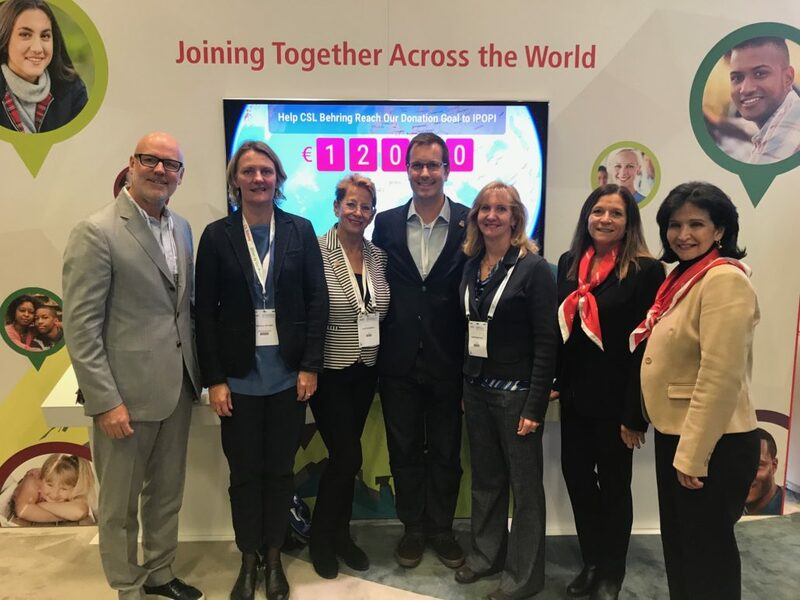 The campaign was in place at the 2017 European Society for Immunodeficiencies (ESID) meeting and resulted in a 15,000 euros donation to IPOPI, which will be used to support our primary immunodeficiencies (PIDs) awareness-raising efforts. 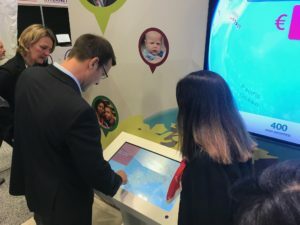 ESID 2017 congress participants were invited to drop a pin on their home location on a digital world map at CSL Behring’s booth. The initiative was very well received with many pins were dropped, in over 20 countries. Johan Prevot, Executive Director of IPOPI, thanked CSL Behring for the initiative saying, ‘IPOPI relies on donations in fulfilling its commitment to advocate for PID patients around the world. We are grateful to all our industry partners who provide, among other resources, donations like this’. Karen MacPhail, Senior Director, Immunology, CSL Behring stated that ‘as a long-standing partner with IPOPI, CSL Behring is pleased and proud to support patients with this donation’.